Ramma is post production support software designed to take the pain out of finding problems when working with image sequences of animation or video. €85 (2 seat license) Activation required. Installers for MacOS and Windows included. Activation required after 5 (five) day trial. Each Ramma license may be used on 2 (two) machines. Fusion, After Effects, 3dsmax, Resolve, NUKE, and particle simulation data from Realflow, Houdini and Xparticles, among many other animation and video tools. Designed to be simple to understand and easy to use. 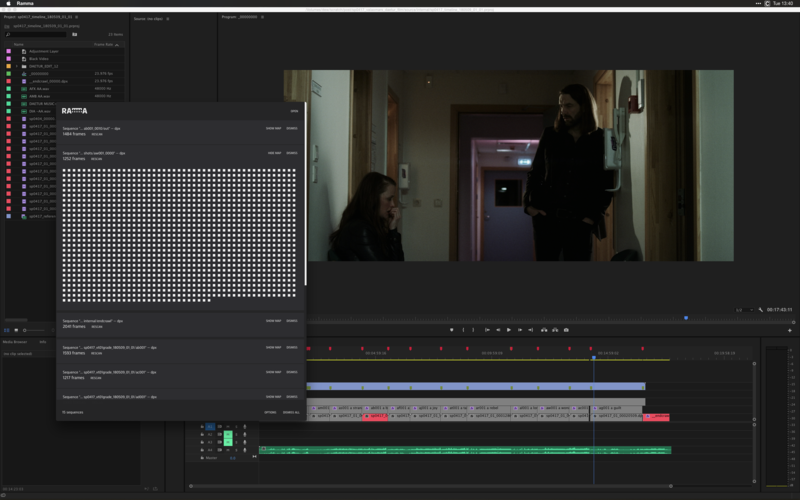 Every frame of a sequence is represented as a block in the user interface, making it easy to see problems at a glance. Ramma automatically adds nested folders that contain sequences, making it easy to work with versions and render passes in separate sub-folders. Ramma updates on the fly when changes to sequences are detected. With this you can effectively use Ramma as a render output monitor. Ramma will also display notifications if problems are found. file headers, file size divergence or other factors that would cause a sequence to become invalidated. 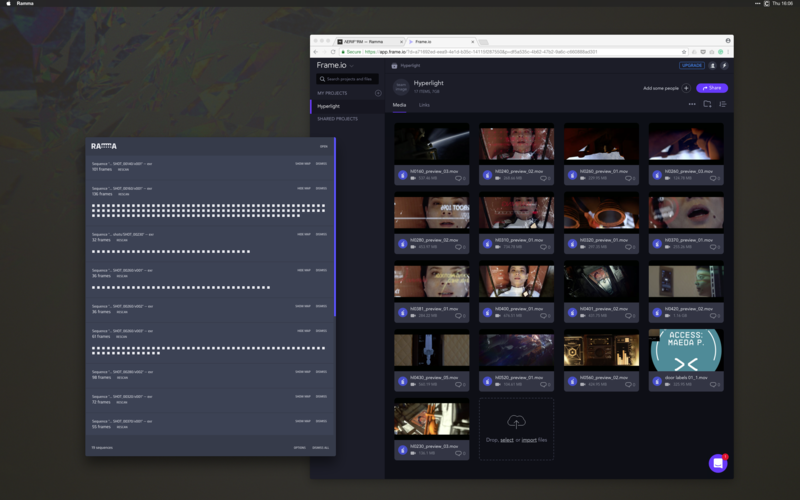 Ramma is engineered to populate sequences and report any potential problems fast, without user intervention. file formats and particle cache formats. Whether working locally or within an infrastructure, Ramma can access sequences wherever folder access is granted. Render problems can happen for many reasons, often due to hardware or software failure, or human error but hunting down these problems in sequences can be a nightmare. This is why Ramma exists. Whether they be missing or dropped frames, corrupted or even non-contiguous frames that are given an incorrect numerical padding in the filename, Ramma quickly and automatically detects these common problems. Intended for post production professionals—large facilities as well as smaller or indie shops—producing motion graphics, visual effects, colour grading or other video and animation work, working with Autodesk, Adobe, Foundry, Blackmagic Design, Maxon or any products that render to image sequences. It is designed to be fast, smart, and simple, to find problems at a glance. To mitigate problems that may arise before export and delivery, saving you time and grief. Dætur (Dir. Vala Ómarsdóttir) in Adobe Premiere and showing rendered frames in Ramma. Origin (Dir. 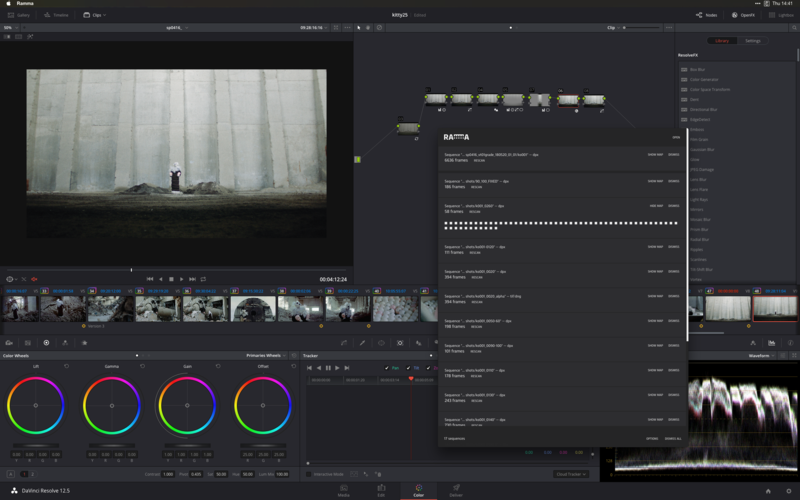 Kitty Von-Sometime) in DaVinci Resolve and showing rendered frames in Ramma. 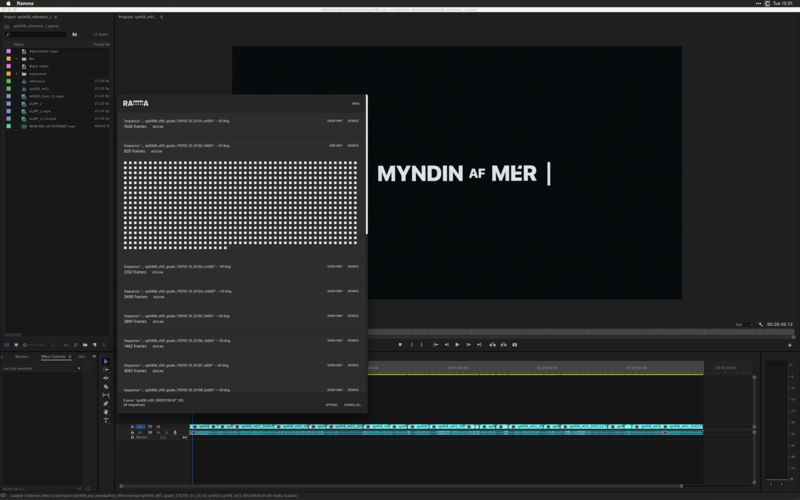 Myndin af Mér (Dir. Brynhildur Bjôrnsdóttir) in Adobe Premiere and showing rendered frames in Ramma. Hyperlight (Dir. Nguyen-Anh Nguyen) shots in Frame.io and showing rendered DPX frames in Ramma. Developed by Jahan Addison & Michael Christophersson. Click for more version history.